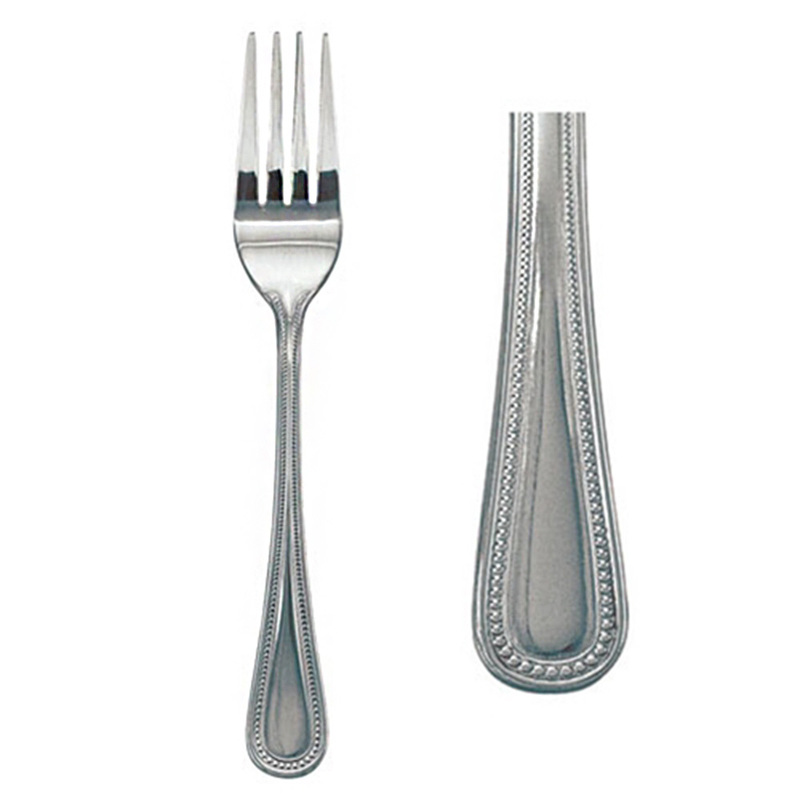 An 18/0 stainless steel dinner fork from Update International will provide you with heavy duty weight flatware. As part of the Pearl collection, it has a mirrored finish and is sold in a pack of 12. Great for busy restaurant use.